Directa’s contact finder Spotit is a coloured marker available on straight and angled handle. 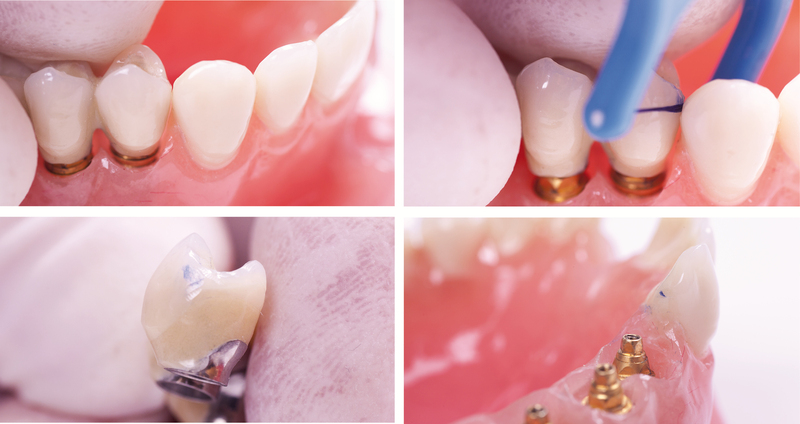 As the marker traverses the contact between the prosthetic element and the adjacent tooth it leaves a clear and accurate indication of the adjustment needed for a perfect contact point. The whole operation can be performed without assistance - holding the crown with one hand and the marker with the other hand. How should I use Spotit? Spotit is a coloured marker that indicates exactly where to adjust contacts before final cementation of C&B works. Put the C&B work in place. Press carefully. Pass Spotit through the hard contact one time only. Remove the C&B work and find the exact spot where you adjust the contact. Repeat if necessary. Do the final cementation. - Place crown or bridge and push Spotit through the contact to get the indication mark. - The exact indication of where trimming is needed.